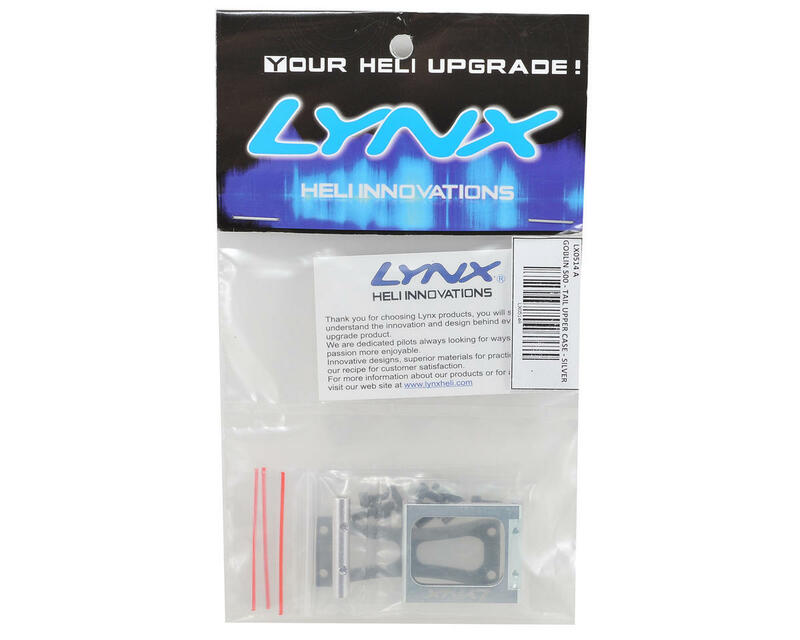 This is an optional Lynx Heli Goblin 500 Tail Upper Case. Lynx Heli Innovations has redesigned the standard Goblin 500 systems. 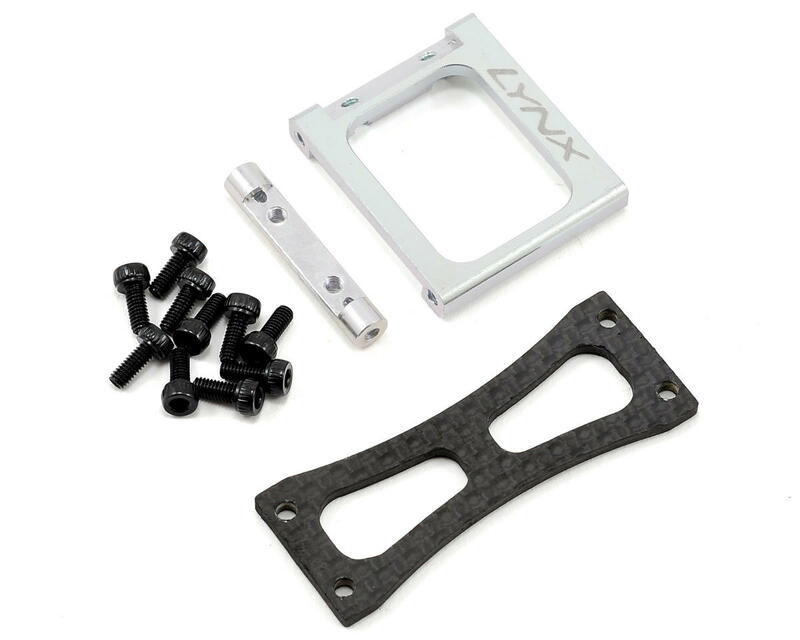 This time they've replaced the aluminum rod with special CNC and Carbon parts that assure the perfect tail case plate alignment increasing rigidity. Once installed in the standard Goblin tail this upper tail case will solidify the Carbon Fiber plate creating a unique solid and precise assembled structure.